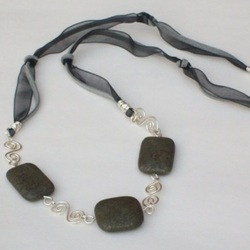 The necklace features a focal section of three large pyrite beads linked with handmade and hammered spirals of silver plated wire, attached to grey suede cord and black organza ribbon, finished with a silver plated toggle clasp. 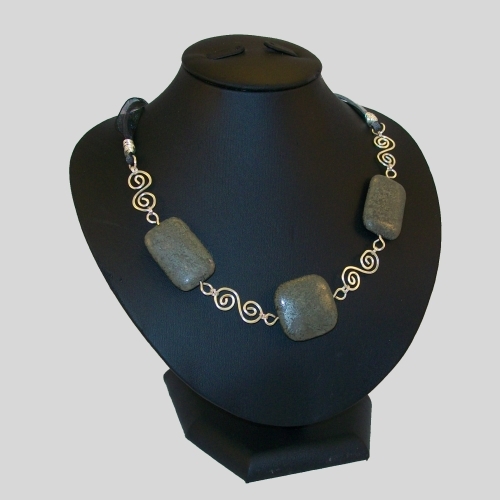 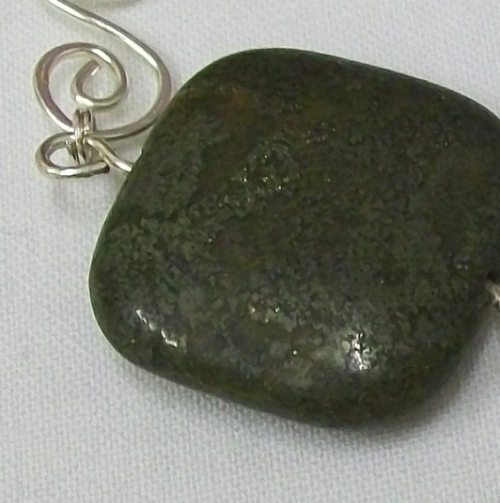 The pyrite is a mottled grey-brown with tiny gold sparkles which catch the light as it moves. 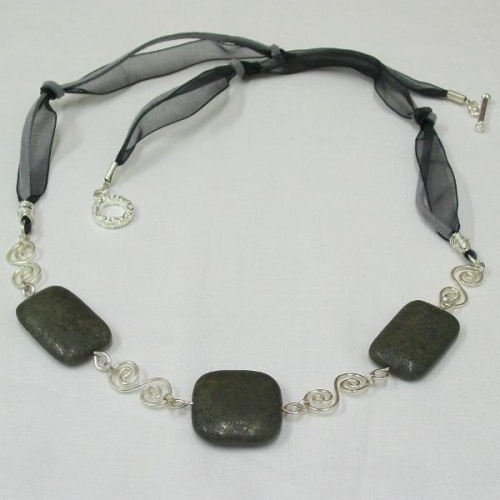 Necklace is approx 28" in length including clasp.